Join us in remembering Ntozake Shange sista poet, friend, mentor, teacher, Black feminist Obie Award winning playwright, activist and daughter of the African Diaspora who wrote and actively fought for Black women and all women of color, for Black liberation and the freedom, humanity and unity of all the children of the AfroDiaspora. Bring something for the community altar, and your love for Zake, who is soaring now in all the rainbows she conjured. We celebrate her life, her work and what she stood for! 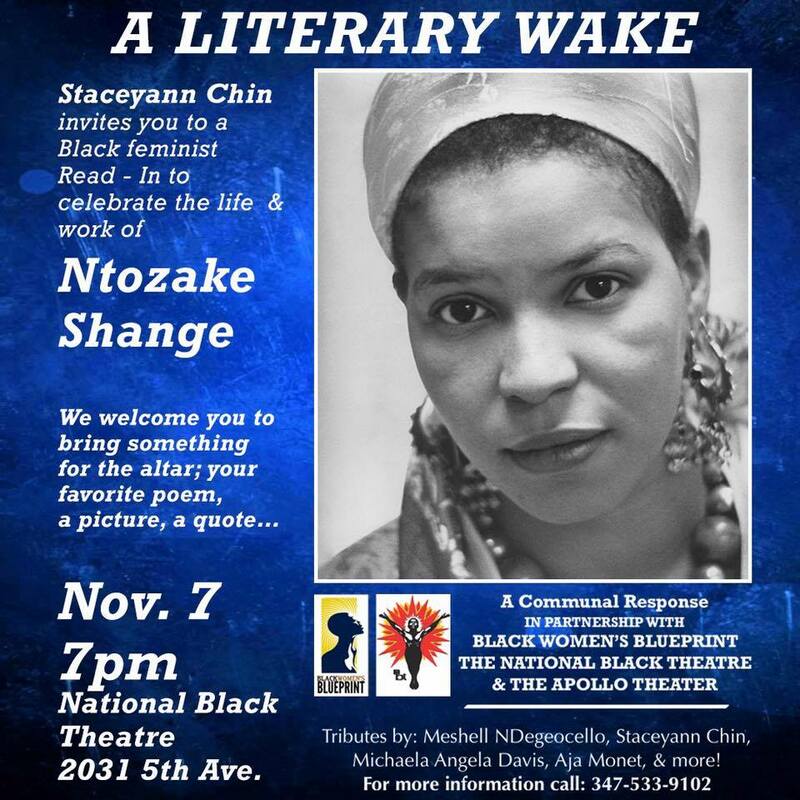 Wed, Nov 7 at the National Black Theater. 7pm. Free to the public.